Colors left to right: navy, lavender, olive, orange, pink, black, hot pink, peach, beige, red, and white. 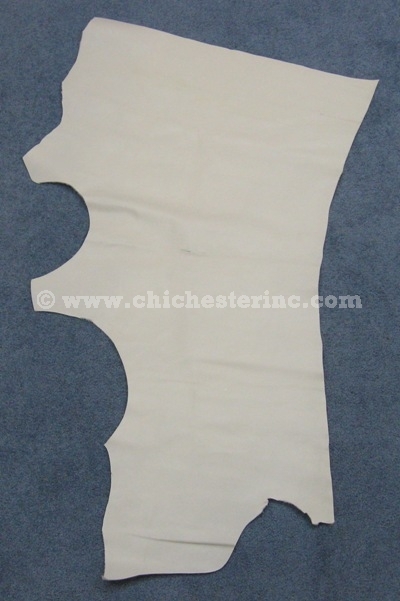 These are irregularly shaped cow leather pieces ideal for making handbags and other small craft projects. The 2 to 3 oz. 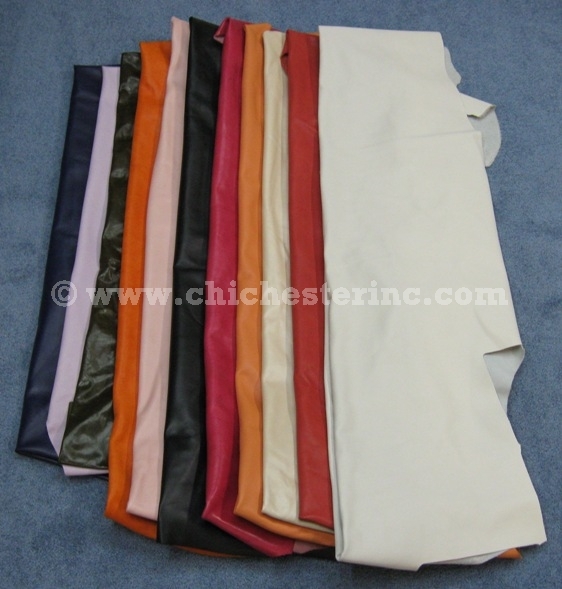 (~0.8 to 1.2 mm thick) cow leather ranges in size from 7 to 17 sq. ft. and averages 14 to 15 sq. ft. The black cow leather comes in heavier weights and range in size from 15 to 21.5 sq. ft. Please call us to confirm availability before ordering. 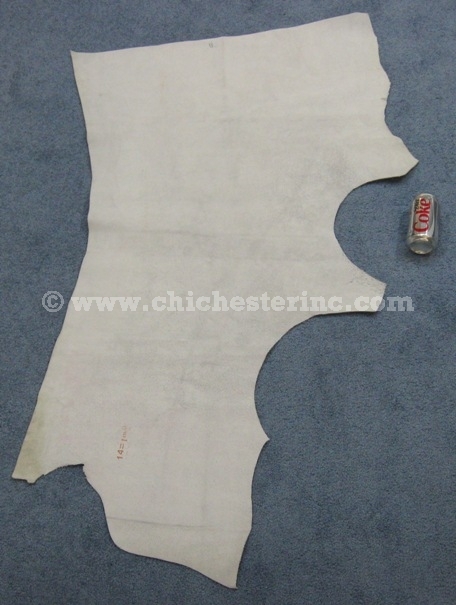 R-189-23-Gxx Cow Leather:2-3 oz. :White 2-3 oz. 3 (7, 11, and 13 sq ft) US$4.25 / sq. 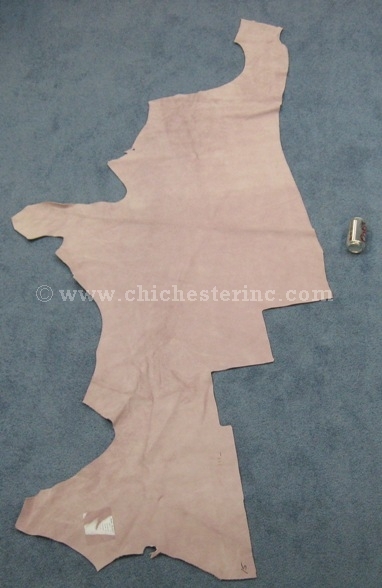 ft.
R-189-23-Gxx Cow Leather:2-3 oz. :Red 2-3 oz. 1 (14 sq ft) US$4.25 / sq. 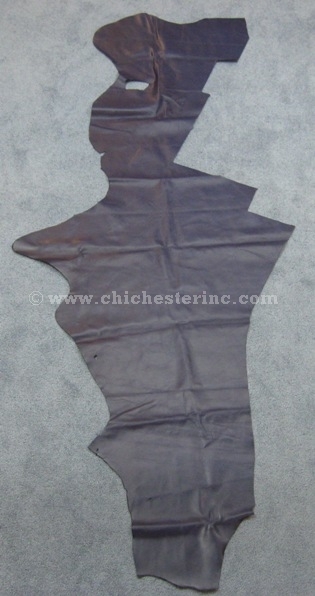 ft.
R-189-23-Gxx Cow Leather:2-3 oz. :Hot Pink 2-3 oz. 1 (15 sq ft) US$4.25 / sq. ft.
R-189-23-Gxx Cow Leather:5-6 oz. :Black 5-6 oz. 2 (9.5 and 15 sq ft) US$4.25 / sq. ft.
R-189-23-Gxx Cow Leather:2-3 oz. :Orange 2-3 oz. 1 (16 sq ft) US$4.25 / sq. 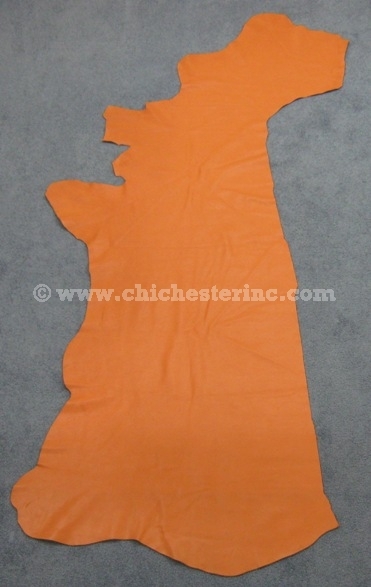 ft.
R-189-23-Gxx Cow Leather:2-3 oz. :Pink 2-3 oz. 2 (15 and 16 sq ft) US$4.25 / sq. 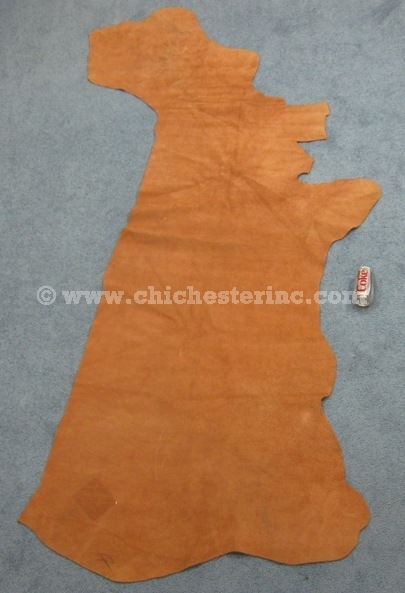 ft.
R-189-23-Gxx Cow Leather:2-3 oz. :Peach 2-3 oz. 2 (16 and 17 sq ft) US$4.25 / sq. ft.
R-189-23-Gxx Cow Leather:2-3 oz. :Olive 2-3 oz. 1 (15 sq ft) US$4.25 / sq. ft.
R-189-23-Gxx Cow Leather:2-3 oz. :Navy Blue 2-3 oz. 1 (13 sq ft) US$4.25 / sq. ft.
R-189-23-Gxx Cow Leather:2-3 oz. 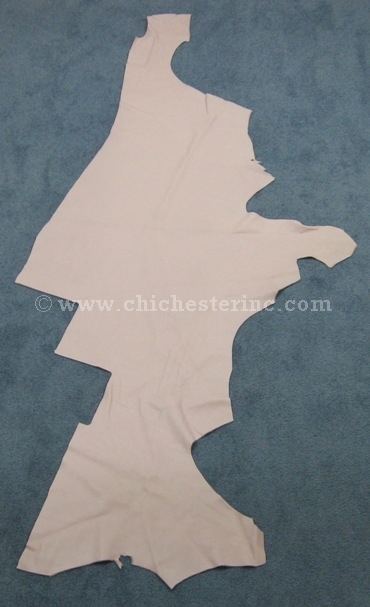 :Beige 2-3 oz. 1 (13 sq ft) US$4.25 / sq. 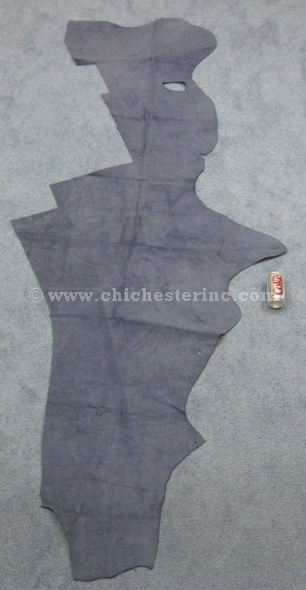 ft.
R-189-23-Gxx Cow Leather:2-3 oz. :Lavender 2-3 oz. 1 (8 sq ft) US$4.25 / sq. ft.
Each piece is irregularly shaped. Here are two pieces to give you an idea of shape and size. This is a 7 sq. ft. piece of White cow leather. See the other side and a size comparison with a soda can. This is 17 sq. ft. piece of Peach cow leather.